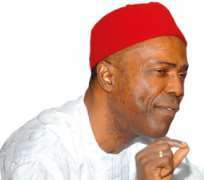 The Ohazara born politician and the former governor of Abia State, Dr. Ogbonnaya Onu will soon be announced as the new Secretary to the Federal Government of Nigeria. The Ebonyi State politician is renowned for his "decency" in all ramification of the word. Dr Ogbonnanya Onu was the leader of ANPP, one of the political parties that midwived and nurtured APC. He is referred as a clean gentleman in outlook and manners. first presidential candidate of the now defunct All Peoples Party, APP. Dr. Ogbonnanya Onu holds a Doctor of Philosophy, Ph.D, degree in Chemical Engineering from the University of from the University of California, UC Berkely California, USA, 1980.